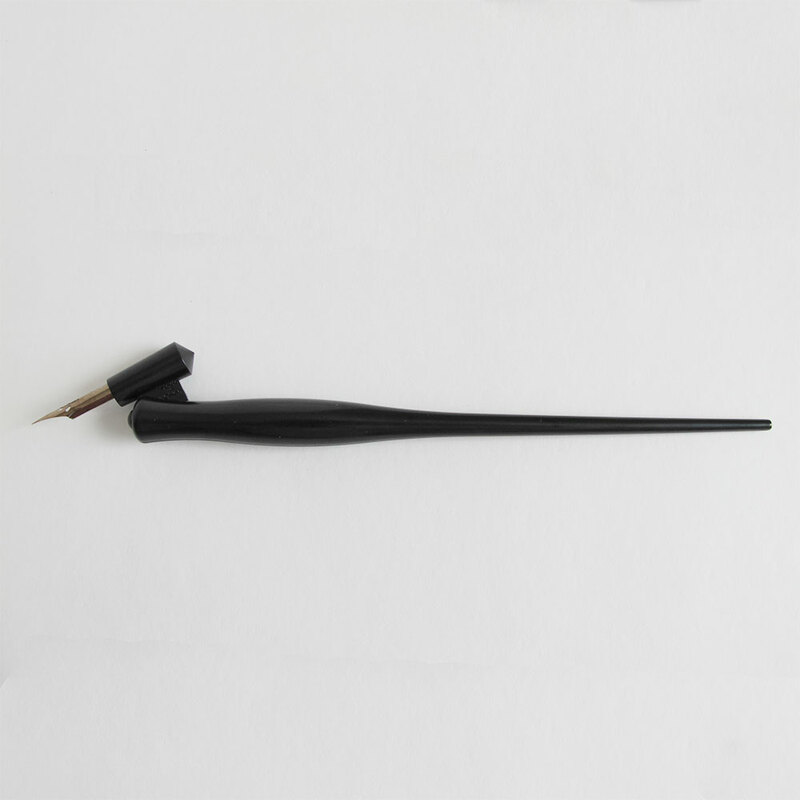 Black plastic oblique calligraphy pen holder. Instructions on use are not included; this pen alone is not recommended for beginners that do not have experience with pointed pen calligraphy & how to insert nibs, etc. For instruction on how to assembly & use calligraphy pens please refer to our class schedule here.